Most organizations can build or adopt technology faster than they can organizationally deploy it and they tend to feel that they have achieved success once they “go live”. 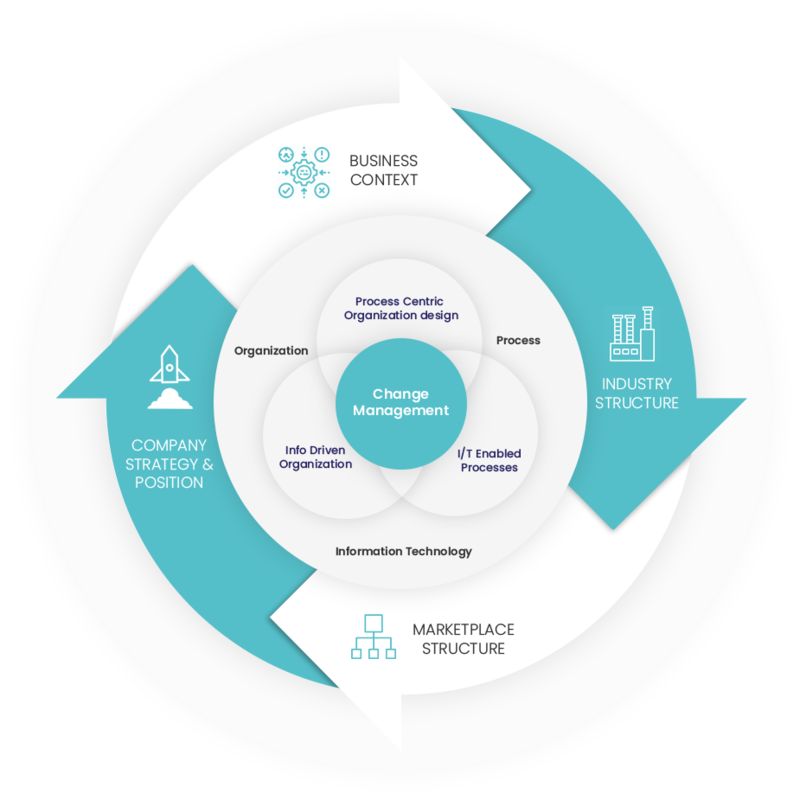 They can change business processes to better suit organizational needs and they feel the change is cemented when the new process becomes active. However, the real value of the technology or processes is not realized on the “go live” date or the initiation of the process – it is realized over a period of time and based on business results that are actually derived from its implementation. Implementing major changes in the way that large groups of people conduct their day-to-day business is challenging. Implementing these changes while being held accountable for achieving the business results on which the technology investments were funded can be intimidating. Success requires that the change efforts must be heavily focused on the people affected by the change. Technology projects and process improvements supporting the change are important, but they cannot be successful unless the affected people are committed to use to new processes/tools. Complex changes require a multi-dimensional, consistent, and intuitive approach. Even though the change is complex, the approach doesn’t have to be. Though many effective Change Management methodologies have been developed, the optimal change management approach for a given action will include a combination of elements specific to each client’s unique circumstances. Our clients’ success is the only thing that matters; CGN helps sort through the available options to determine how they can be successful. Client personnel must be actively involved in designing and implementing change initiatives. The combination of our client’s institutional/cultural knowledge and our focus on the discipline of executing change is what makes these engagements successful. Change Management Plan - Once the change inhibitors are identified, action plans to address and resolve these inhibitors are developed. A detailed project plan to deploy these action plans is developed, including assignments, target dates and accountability. Organizational Design - The current organization and its ability to optimally support the proposed changes are reviewed. Change Management Workshops & Corporate Training - Training that focuses on the change inhibitors and targets is the key to creating a culture that supports change.